How to Think Positive – Step 1 – Get Enough Sleep. Sleep is critical to your goal of how to think positive. Most people need 7-8 hours of sleep a night. It is really hard to be positive and happy when you are constantly tired. There are many things you can do if you have trouble sleeping. You can make sure you get enough light during the day, sleep in a completely darkened room, reduce exposure to EMFs, and more. If you having trouble sleeping, check out my sleep post. 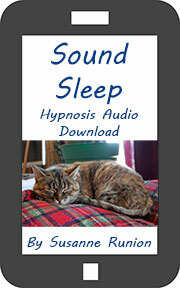 I also have a self-hypnosis sleep recording available. How to Think Positive – Step 2 – Practice Gratitude. Being thankful for what you have can go a long way towards learning how to think positivee. I recommend everyday before you go to bed, write a list of 10-20 things that you are thankful for. You can get a notebook for this, use a Word document, and I also believe that there are apps for this on the iPhone. It is a great way to end the day. Over time, you will accumulate lists of really great things that have happened, and things that you are thankful for. Then when something bad happens, you’ll be able to go back over these lists and be reminded of how much good there is in your life. Often during bad times, we focus on everything that is wrong, and forgot how much good is in our lives. It will help you get back into a positive frame of mind so much quicker. Practicing gratitude also changes our perception. My favorite quote from the twilight zone is “Happiness is 90% perception, 10% reality”. How to Think Positive – Step 3 – Practice EFT. The Emotional Freedom Technique is a healing method based on the principles of acupuncture. It involves stimulating certain acupuncture points with your hands while you repeat certain phrases. It is a fast, simple and easy way to get rid of negativity, past traumas and limiting beliefs. For more information, please read this post which goes into more detail and shows you exactly how to use EFT. Donna Eden, author of Energy Medicine believes that EFT should be taught in kindergarten and grade school. So many bad things happen during childhood that we end up holding onto for the rest of our lives. With this knowledge, it becomes really easy to release and negativity immediately and not have to be affected by it years later. How to Think Positive – Step 4 – Follow a Blood Sugar Balancing diet. A blood sugar balancing diet is a diet that is high in protein, healthy fat, and vegetables. Examples of this are the Paleo diet, Weston Price, the South Beach diet and low carb diets. These diets are high in protein and healthy fats and these keep your blood sugar stable. Blood sugar fluctuations can create what Julia Ross, author of the Mood Cure calls false moods. It is so much easier to achieve your goal of how to think positive when your blood sugar is under control. You should also eat meals at regular times. It is also good to cut back on caffeine, sugar and alcohol. These are mood killers. Caffeine and sugar destabilize your blood sugar levels and alcohol is a depressant. Its very hard to learn how to think positive when you are overusing these substances. How to Think Positive – Step 5 – Deal with PMS and Hormone Imbalances. 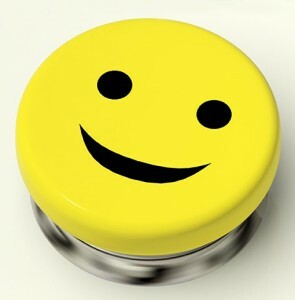 PMS and hormone imbalances can make it impossible to have a positive attitude. Our hormones directly affect our thoughts. The best ways to fix these problems is to go to an Acupuncturist, Holistic or Functional Medicine Doctor, or a Naturopathic Doctor. How to Think Positive – Step 6 – Cut Back on the News. To really understand how to think positive, you need to cut back on the news. 90% of the news is negative, depressing, and fear based. I consider it to be junk food for the mind. It is okay to watch it once a week or so to stay informed, but you don’t need to watch it everyday or have it on all day long. I gave up the news in 2008 after the banking crisis, and trust me, if something bad happens that you need to know about, someone will tell you. How to Think Positive – Step 7 – Watch More Positive, Inspirational Movies. Movies can be very therapeutic. I have become very picky about what I will allow myself to watch. If it isn’t uplifting and doesn’t have a happy ending, I don’t care how many awards it won, I won’t watch it. Just like the news, the majority of movies produced are like junk food. 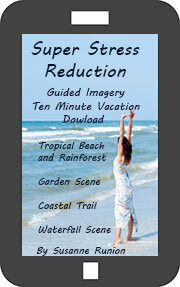 Two great sources for these types of films are Gaiam TV and Spiritual Cinema Circle. Esther Hicks also has a list on the abraham appreciators page of positive and inspirational films. How to Think Positive – Step 8 – Spend More Time with Loved Ones. In the documentary film, Happy, one of the top indicators of happiness was having strong social ties. Spending more time with loved ones really can make us more positive. If you family is negative, you can seek out more positive friends. Many people find that getting a dog or cat really helps as well. How to Think Positive – Step 9 – Help Others. In the documentary film Happy, helping other people was another indicator of happiness. Helping other people simply makes us feel good about ourselves and it is so much easier to learn how to think positive when you feel good about yourself. You don’t have to give up your corporate job and become a healer like I did (unless you want to). You can do this by doing volunteer work, even if it is just once a month, or by donating to charity. Just by simply smiling at people, giving them a sincere compliment and saying kind words, can really lift people up. You should try setting a goal of doing volunteer work once a month or more, or saying 5 nice things to other people each day. Watch how this improves your attitude. How to Think Positive – Step 10 – Avoid Toxic People. There are just some people in your life who are just toxic, and they aren’t always easy to avoid. They might be family members, friends, bosses, coworkers. You don’t have to cut these people out of your life, but you can often cut back on the amount of time you spend with them. Esther Hicks, author of Ask and It is Given, has a great exercise in her book called the book of positive aspects. What you do is take a notebook, or you could use a Word Document, and you have a separate page for every difficult person in your life. You can also create a page of for each positive person in your life. What you do is write down every single thing about them that is positive. For some people, it might only be two or three things. Then you simply focus on those things as often as you can. It is best to do this right before you see them or are going to talk to them. The premise behind this is that we get what we focus on, and people usually rise to our expectations. If you expect your boss to be mean to you, chances are they will be. If you focus on all of the good things about that person, chances are they will show you more of that. You can also make a commitment to yourself that any new people you let into your life must be positive and supportive.